Shuraa Business Setup is a professional and well-experienced organisation in UAE for business setup and consultancy services. We believe that delivering outstanding client service is paramount to our success and our entire business is organized to achieve this goal. 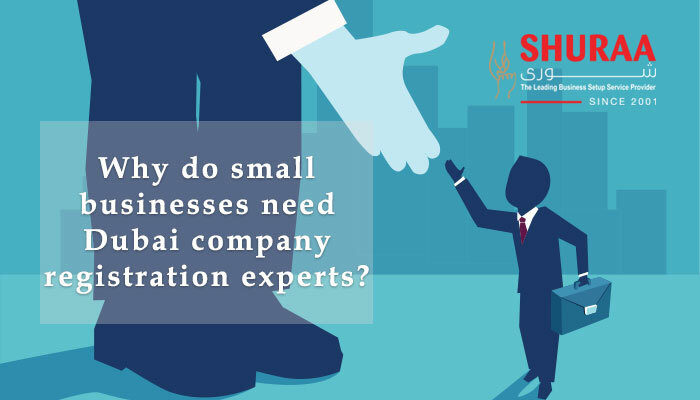 But if you are still questioning how to distinguish Shuraa Business Setup from the various companies offering business setup services, read on are unique features of business setup services in UAE. Shuraa Business Setup can be your local partner and help you establish a business in Dubai or any other emirates. Partnering with us provides you with trustworthiness and transparency at all stages of company formation as well as when the company is regulating Shuraa Business Setup is here to support you. 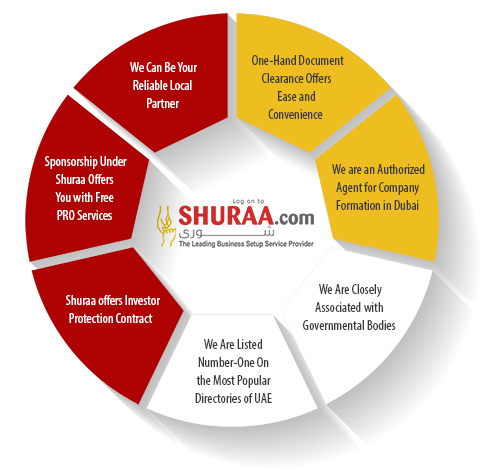 Unlike any other business setup companies in UAE, Shuraa offers PRO services absolutely free if you are under Shuraa’s sponsorship. We treat your business with complete integrity and being under the umbrella of Shuraa Business Setup, we try to make business setup as comprehensive as possible. Thus, Shuraa offers certification and document clearances without any charge. Shuraa ensures a sustainable development and hassle-free service provided to the clients. Business Setup requires a wide-range of documents thus; we strive to provide everything under one roof! You do not need to run around from one governmental department to another, neither do you need to worry about the documents required to setup your business Shuraa will do it all for you! Shuraa business setup is a licensed business consultancy founded in 2001, offering business setup assistance in UAE. We are qualified business setup providers and have been in the industry for more than 16 years, establishing over 20,000 companies in UAE. Being a member of Dubai Chamber of Commerce DCC; having a long association and a close regard with several governmental bodies, Shuraa has become an authorized agent for business setup in UAE . Shuraa’s solutions are cost-effective and risk-free as we do not use any intermediaries and are directly in contact with major governmental bodies in Dubai and all over UAE. The DED Department of Economic Development in Dubai or any other Economic Department around the emirates; the Dubai Chamber of Commerce DCC; UAE Immigration Departments; UAE Ministry of Labour MOL, UAE Ministries and so on – all are closely associated with us making business setup easier, faster, safer and affordable. Also, the licensing department remains in constant contact with our clients and sends them information on new laws and regulations. All changes made by government agencies are swiftly communicated to our clients, keeping our clients up-to- date on UAE’s changing business environment. Our Investor’s Protection Contract is a side contract the allows you to be an owner of the company. This contract permits you to be the whole and sole of the company, with 100% ownership of the shares in the company, accountability of all the profits and losses in the company and all-inclusive operational proprietorship without any interface from us (as a local sponsor). Yellow Pages and several other directories have listed us as a leading business setup service providers in the region. With experience in various sectors, Shuraa has maintained an outstanding service in all aspects of company formation, consequently creating an identity for ourselves in the market.